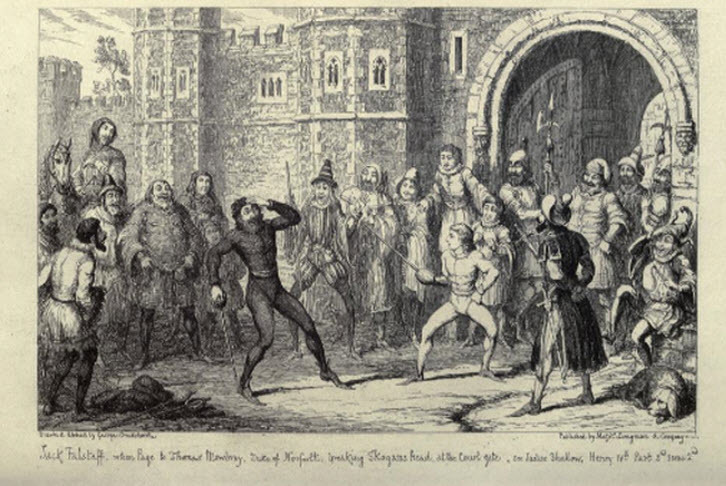 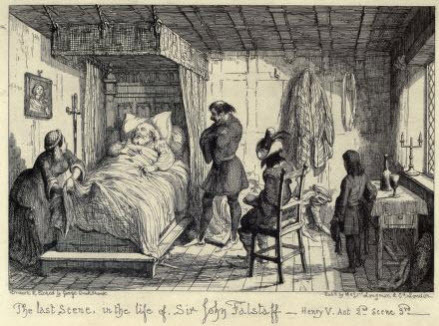 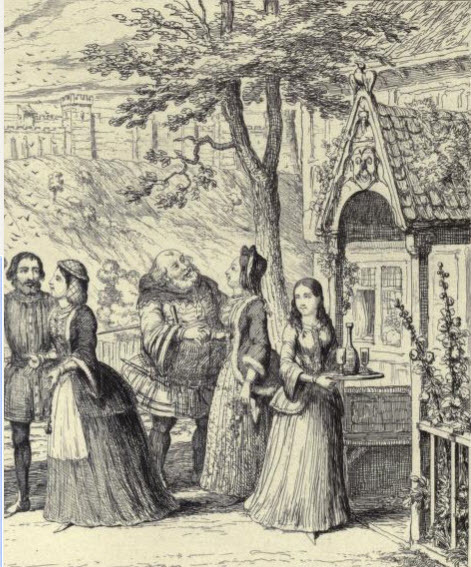 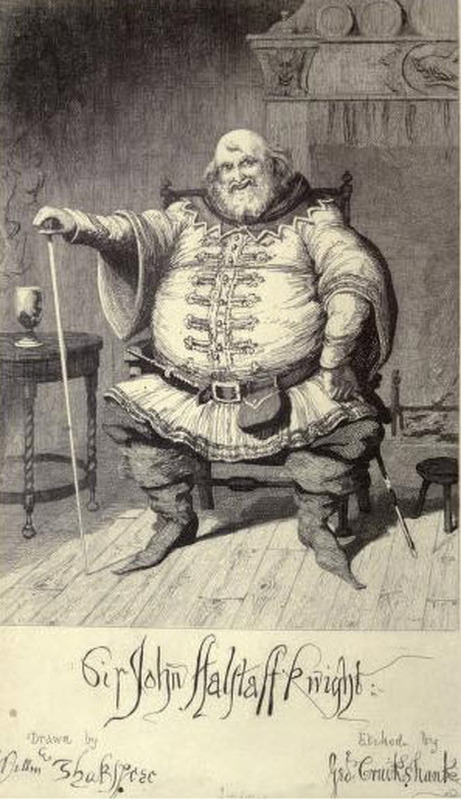 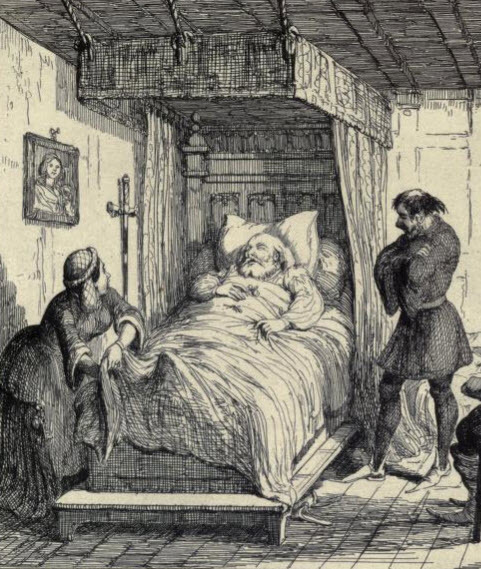 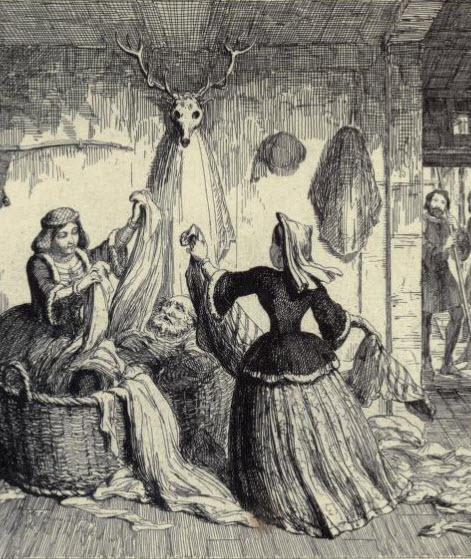 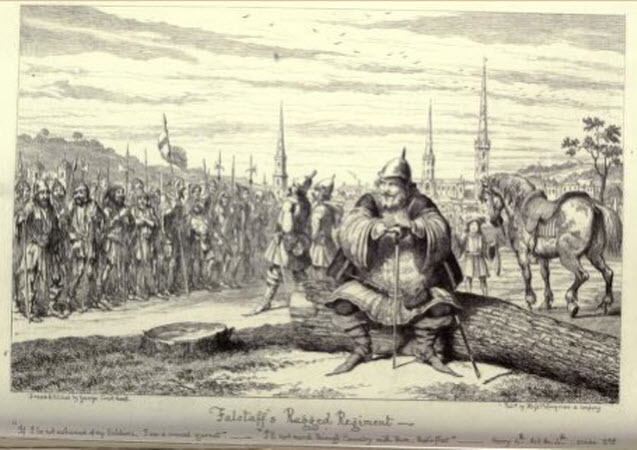 One of Cruikshank's most celebrated series of drawings were his illustrations for a book entitled The Life of Sir John Falstaff, published in 1858. 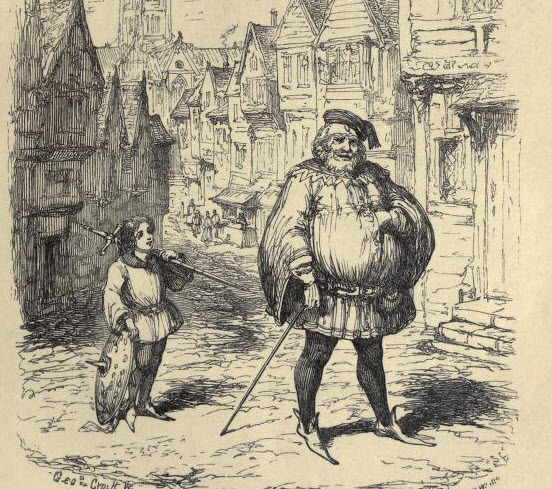 The book is a fictional biography of Falstaff drawn from contemporary and authentic sources. 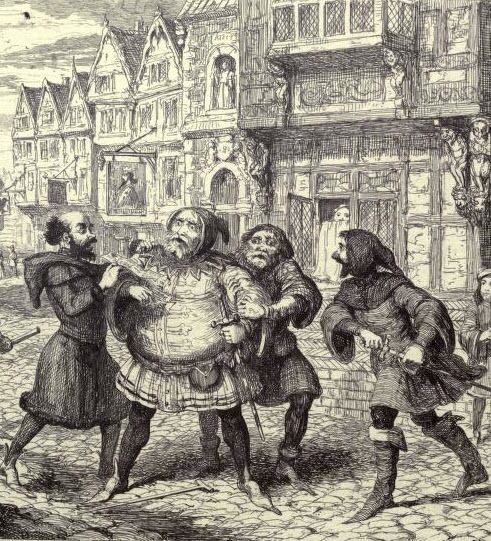 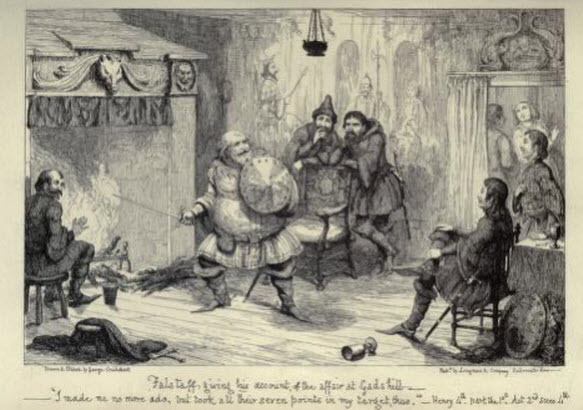 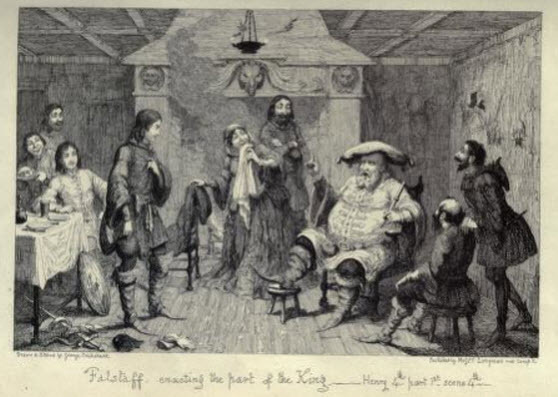 In fact, Falstaff was a fictional character that appeared in three of Shakespeare's plays. 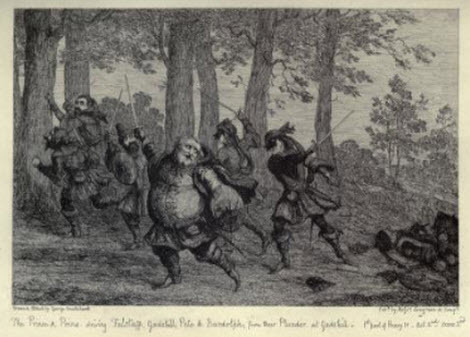 In the plays Falstaff is fat, boastful and cowardly - the exact opposite of the knightly stereotype. 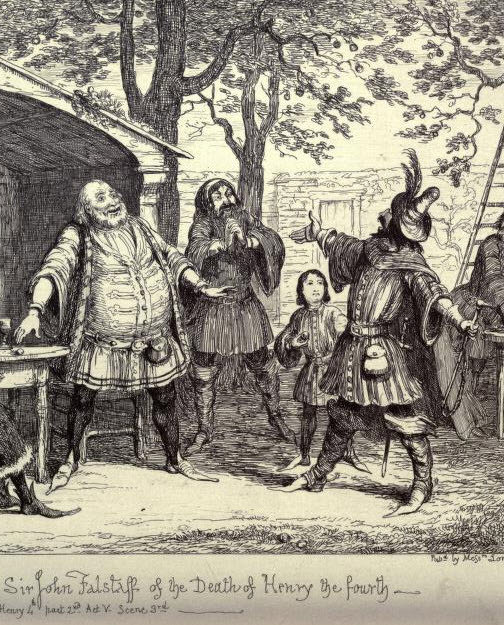 Cruikshank here does an excellent job of depicting the lazy cowardly knight.